It was with some nervous anticipation that I approached passport control at Harare Airport. Would there be problems getting in? Would I be interrogated about the purpose of my visit? Fortunately it went a lot more smoothly than it does for many Zimbabweans visiting the UK. I paid my $55, got the visa, and the receipt from another official whose job it was to do nothing else, through I went and there was Bishop Ishmael. As we headed out on the way to Gweru, where the Diocese of Central Zimbabwe has its cathedral and offices, I was struck by what a ‘green and pleasant land’ I was looking at. It was the rainy season, of course, but nevertheless I realised right away what an abundance of natural gifts Zimbabwe has. But we were driving down the main road to South Africa – what should be a major conduit for trade – and the road was largely empty. We passed several large farms which had fallen into disuse. Time and again during my stay I was reminded that the basic amenities of society are in a poor and declining state, and that the economy is operating at a very low level. Amid the natural beauty and the economic tragedy, I was almost overwhelmed by the vitality, energy and enthusiasm of so many of the people I met. Most of them were from the churches, of course, but I could see that there are many Zimbabweans of all sorts working really hard to create pockets of growth and stability. The churches were not merely full of people, but full of purpose – reaching out to their communities in worship and service. 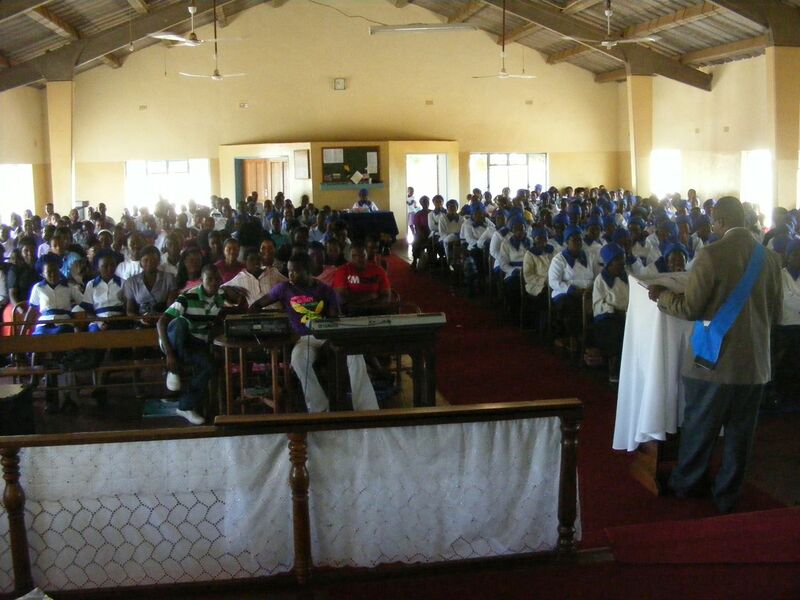 The picture shows most of the congregation at St Michael’s Kwekwe – the children and the choir are out of sight. The Mothers’ Union, all in uniform, occupy the entire right side of the church. The thing I came away most convinced of, was that our partnership with the church in Zimbabwe must be genuine partnership. All Christians have something to give to the whole body of Christ; and all have something to receive. Precisely because of our very different situations, we in Southwark have much to learn about our own life of discipleship to Christ as we grow in our relationship with the churches in Zimbabwe.